New year, new watches. 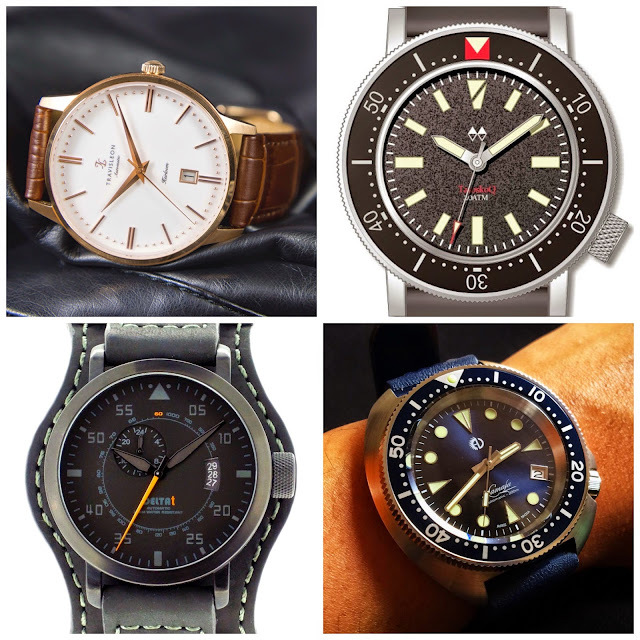 The flood of micro brand watches on Kickstarter and IndieGoGo has not abated. At last check I saw at least a dozen or so, all vying for a piece of your hard-earned paycheck. Some look quite promising, others... Well, not so much. I think these four deserve a closer look. 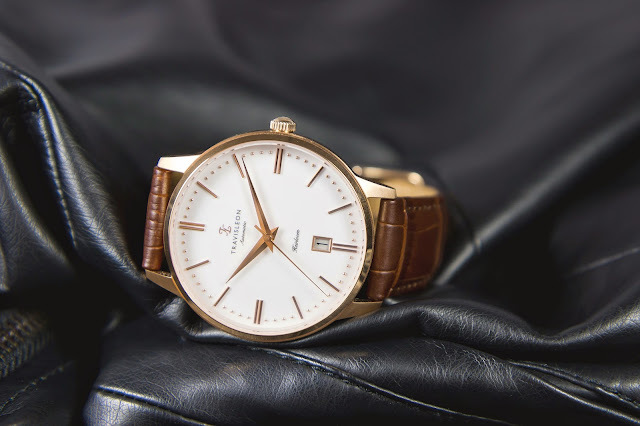 The Heirloom is a classic dress watch inspired by mid century design. 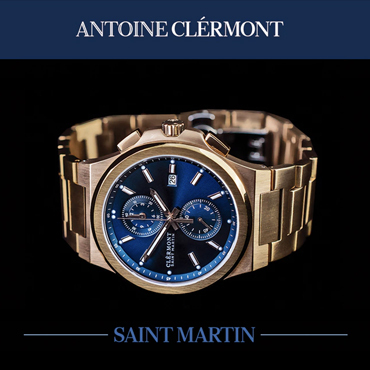 The case measures 40mm across and stands 10mm thick to the top of its double domed sapphire crystal. Judging from the photos, it has an elegant look. The designers clearly studied 1950s watches, and put that research to good use. The applied gold baton markers, dot indicies, dauphine hands, even the logo and typeface on the dial recall the Eisenhower era. The round, stainless steel case features long tapered lugs and a combination of polished and radially brushed finishes. A decorated Miyota 9015 is visible through the exhibition case back. The Heirloom is offered with a black or white enamel dial, and silver stainless or rose gold PVD case, on a black or brown crocodile grain strap. Kickstarter pre orders start at $279 CAD (@ $239 USD). Vermont's MWW is back on Kickstarter with their revamped Tatoskok dive watch. 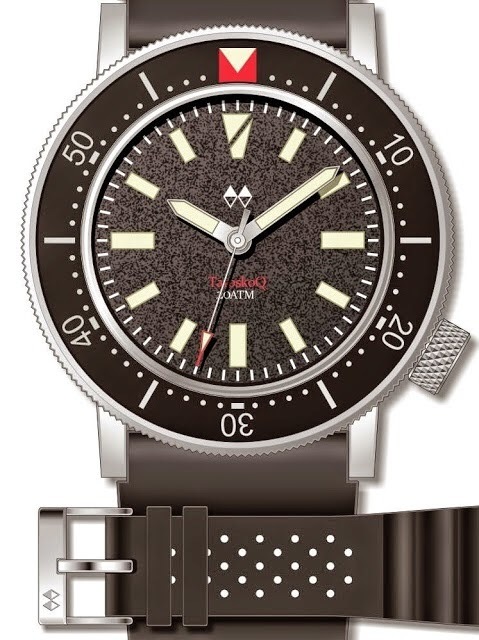 As reported earlier, it now sports a Miyota 9015, bead blasted case, and an updated bezel and hand set. 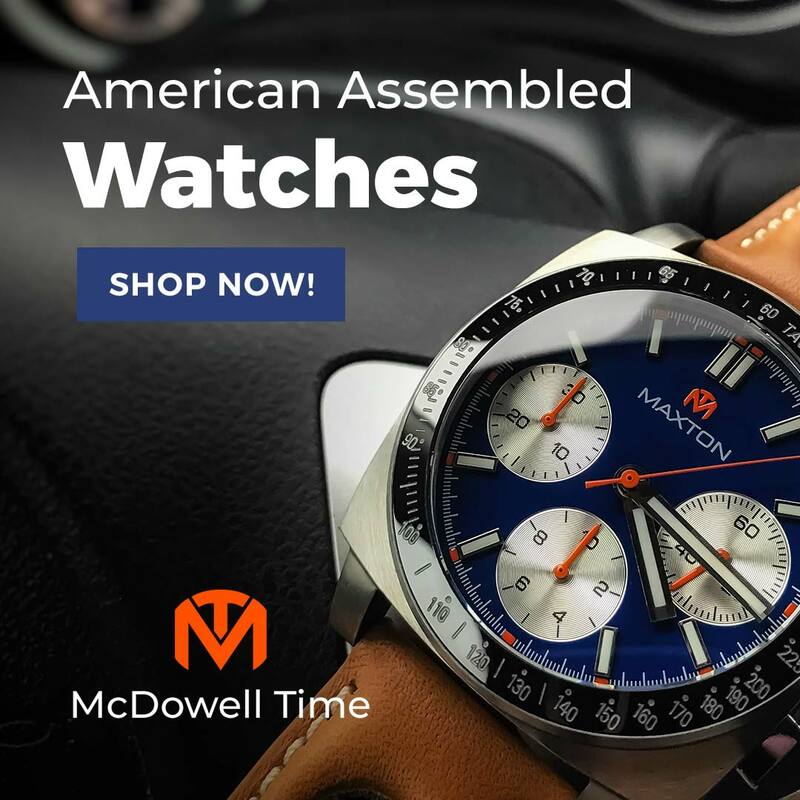 It retains the textured dial of the original design as well as its tool watch goodness: 42.5mm case, 120 click unidirectional bezel, 200m water resistance, screwed down crown and case back, sapphire crystal, and 22mm drilled lugs. I liked this watch as a quartz, but love it as an automatic. Pre orders start at $230. 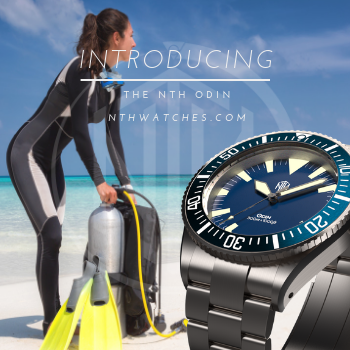 Over at IndieGoGo, Indonesian watch maker Adrian Harahap has launched his second watch project, the Lamafa Diver. 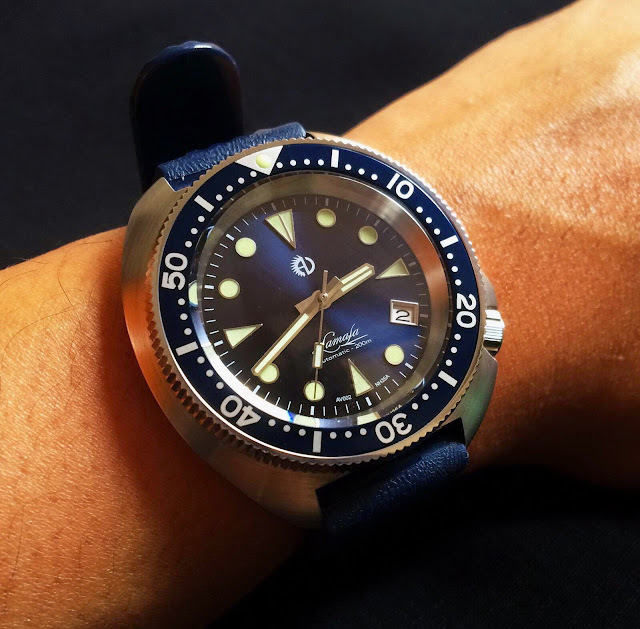 It is a homage to the beloved 1970s Seiko 6105-8110, powered by a modern Seiko NH35a. Like the original, its distinctive asymmetric case is broad (44.3mm) but not overly long (48mm) so it should fit a wide variety of wrists. It is water resistant to 200 meters, has a screw down crown and case back, domed sapphire crystal, 120 click unidirectional timing bezel, and C1 SuperLuminova. Applied markers adorn the sun ray dial. Buyers may choose blue or black, with or without date. The Lamafa is not the only 6105 homage out there, but it is the most aggressivly priced. TimeFactors has the PRS-68 for £485 (@ $736 USD), and Dagaz offers the $650 Typhoon. The Athaya Lamafa starts at just $315, and that makes it pretty darn tempting. pre orders can also be placed directly at the Athaya Vintage web store. My last discovery is the DELTAt SoRa on IndieGoGo. I was initially put off by their bizarre use of capitalization and some overly creative claims (This is the first pilot watch in crowd funding history? There is no accepted definition of a pilot watch? 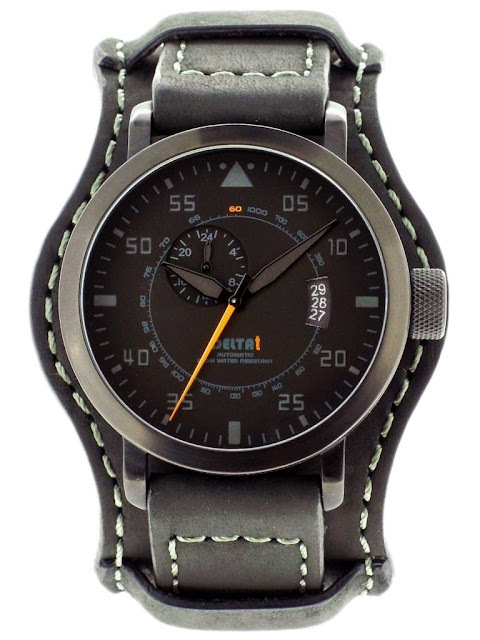 ), but putting the marketing hype aside, they are offering an interesting aviator in the idiom of the IWC Top Gun. The case is 44mm wide, topped with a sapphire crystal, and sports a massive 10mm crown for easy use with gloves. Unlike many pilot watches, the SoRa is water resistant to 200 meters. The movement is a Time Module (Seiko) NH37 automatic. 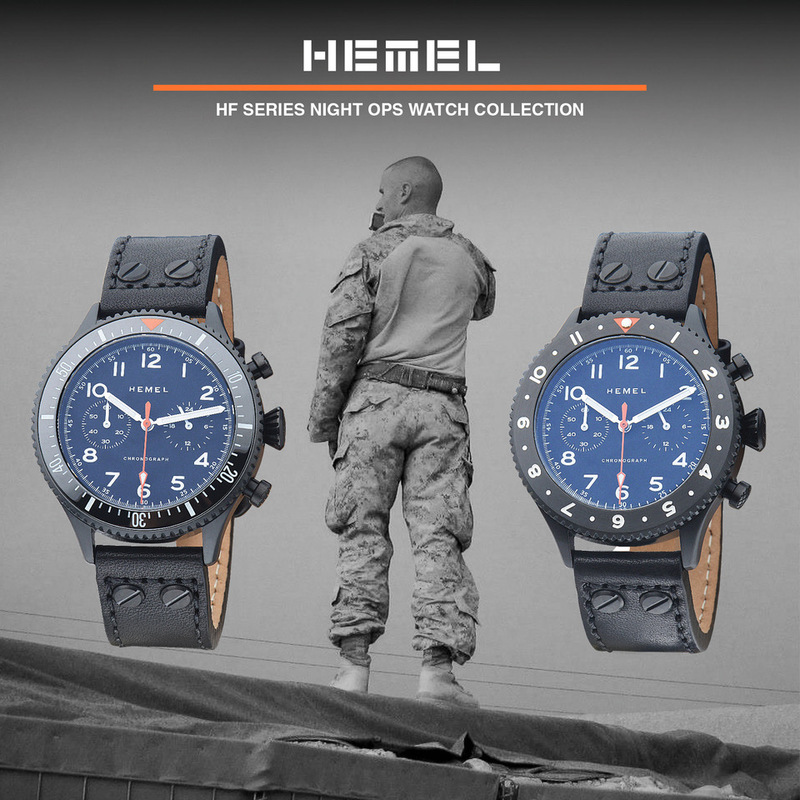 Four models are available, and each ships with three straps: a nylon Zulu, and both a conventional two-piece and a Bund in Crazy Horse leather. Pre order pricing starts at $200.